The Joni Mitchell Project played at the David Hall in South Petherton on Saturday night and, having narrowly missed them a couple of weeks ago when the Coffinswell gig was cancelled, we went along to check them out. The Hall itself is a converted church with good acoustics and there was a full turnout of around 50 people in the audience. 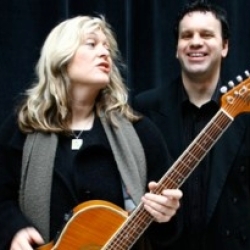 The Project consists of Sally Barker - founder member of the all-girl folk group the Poozies - and Glenn Hughes on keyboards and dulcimer. 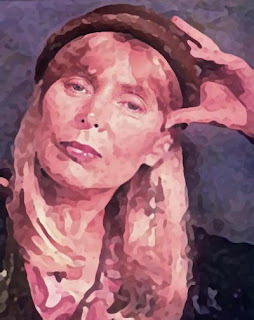 As it says in the advertising, this is not a tribute band - Sally does her own distinctive interpretations of her favourite Joni Mitchell numbers and in-between she talks about Joni's life and songs. Like Joni she has a wide vocal range, and Glenn's jazz-influenced keyboard style and dulcimer playing complements this well. 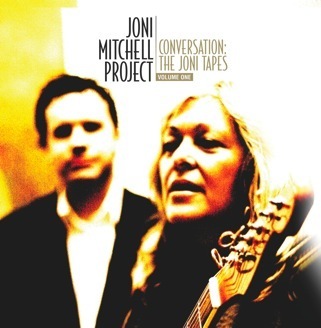 The Joni Mitchell Project's versions of 11 Joni Mitchell songs are now available on a CD - Conversation: The Joni Tapes - Audio samples are available here. There are more videos of the JMP on YouTube - although the quality is variable. Here is a link to Joni Mitchell herself playing For Free live at the BBC in 1970.